As spring is around the corner, so is volleyball season. The varsity team having a current record of seven wins and four losses. They have trained day and night in order to make sure that they win as many games as possible. So far the players are proud of all the success that has been completed during the season. The team works hard during their practices and practice non-stop. Making sure that they are in best they can be. Although the team may tend to procrastinate and have rough practices it is not anything that keeps them from bettering their way of playing and their skills. 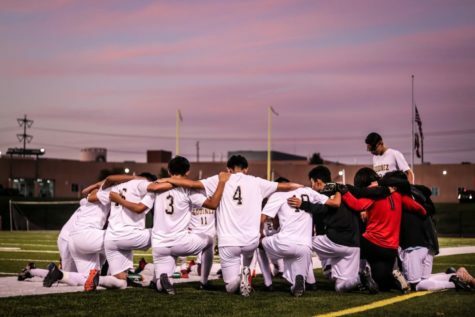 “We over complicate over small stuff and we basically just argue over the small mistakes we do and just procrastinate a lot”, mentioned Johnny Zavala, a senior on the varsity team. Some of the varsity players have been playing for quite a while, but don’t all want to continue the sport after high school. A couple of the players love playing the sport but wish to just continue studying and following other careers. Zavala has been playing since he was nine-years-old and has been on the team since he was a freshman. Angel Zavala has been playing since he was in 7th grade and does not wish to continue after high school. “ I don’t plan on playing volleyball after high school because I plan on going to college and also working. It’s also very tiring, I’m not sure if my body could put up with it”, mentioned Angel Zavala, a senior on the team. Many of the players on the team play out of pure love for the sport. Teams hussle for a task. Photo taken on Tuesday, March 5, 2019. “Some struggles that we have been facing is starting off the games poorly”, mentioned Angel Manzo, a junior on the team. He plays defensive specialist and is usually it “isn’t too hard but also easy”. While struggling on with starting off poorly during games he believes that with a little practice they will soon be able to start the games strong, throughout the game and till the very end finish strong. 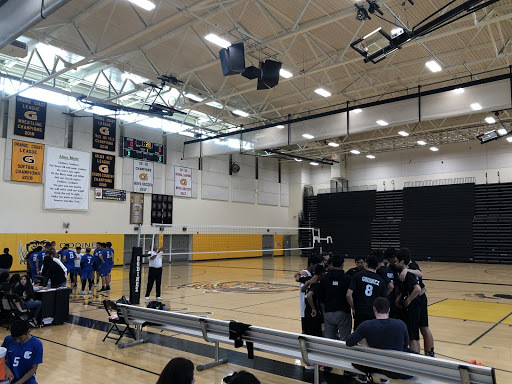 Volleyball can be a little time consuming just like any sport but, the team manages to figure out how to make sure they are on top of themselves to do well both on and off of the court. “I hope once league starts more people will come out to support since it really does help the team,” suggested Angel Zavala. The team hopes that before their season comes to an end that there are more people in the stands coming to support because it gives players motivation. When you have a day free go and check out one of their games. Whether it’s a home or a far away game, go and cheer on the volleyball team.